Pre-Lesson Assignment: This Sunday take your camera to church. 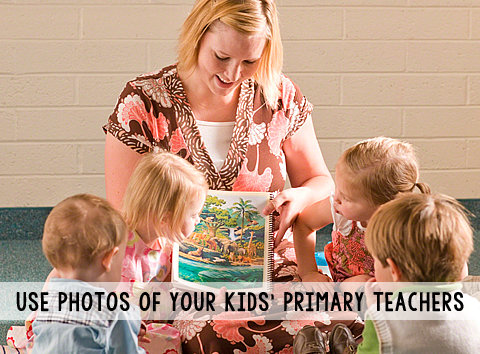 Take pictures of church leaders including the Bishop & Counselors, Primary Presidency, each child's Primary teacher, etc. Please remember that it is against the rules to take photos in the chapel. Other areas of the church are usually okay, but ask your Bishop before taking any photos. It is best to take photos before or after meetings so as not to disturb church services. What You'll Need: scriptures, photos of Bishopric/Primary Presidency/Primary Teachers/etc., printed thank you cards, crayons. Scripture: Ephesians 2:19 - Now therefore ye are no more strangers and foreigners, but fellow citizens with the saints, and of the household of God. *Note: I use the term Bishop and Ward in this lesson. If you live in a branch change the words accordingly. Heavenly Father and Jesus have called many leaders and teachers to help you live the gospel of Jesus Christ. The Bishopric is what we call the Bishop and his two Counselors (helpers). The Bishop has many duties. He is in charge of the entire Ward so sometimes people call the Bishop the Father of the ward. He and his Counselors give special attention to teaching correct principles. Always they encourage our youth to prepare for the covenants they will make in the temple. He is also responsible for finding and helping the poor and the needy. The offices of bishop and Counselors are special. We honor and love them, and we show this by being nice to them and always listening to them. We pray for them so that they can do their best. 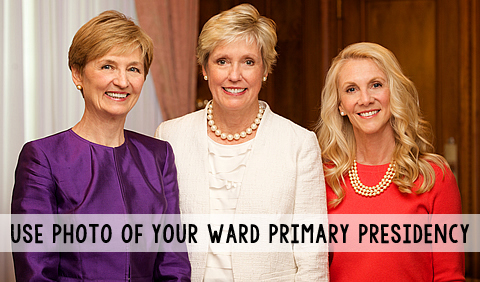 The Primary Presidency is also an important part of the Ward family. The Primary President also has Counselors (or helpers) just like the Bishop. They have a special job to help the children of the Ward. They teach children the gospel, help them keep the commandments, sing songs and have fun activities. Primary Teachers are called to teach just your class. They work very hard each week to make a lesson that will teach you what Heavenly Father wants you to do and to make the lesson fun. They pray for you and love you. Their job is very important because they teach little children, just as the Savior did. So many people help our Ward feel like a family. Just like other kinds of families, our Ward family can support and love each other, teach each other and help us return to our Father in Heaven. We can be an important part of our Ward family by being a good example, serving others and listening to our Bishopric, Teachers and each other. Bear testimony of a time when you felt the love and support of the Ward family. Activity: Make Thank You notes for leaders in your Ward family using this free download. Allow the children to color the note cards and dictate to you what they love about their leaders. Pack finished cards carefully in your church bag to pass out next Sunday during church meetings. Click on your card choice below to download. Bonus Activity: Make a sacrament quiet book of people in your Ward family. Take additional photos in your pre-lesson assignment. You can include as many ward members as you want including Scout leaders, Young Men/Young Women leaders, choristers, Neighbors, special family friends, etc. Glue photos onto construction paper, cardstock or patterned scrapbooking paper. 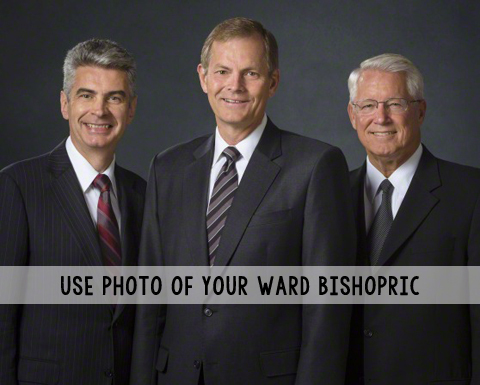 Write beneath each photo the Ward member's name and their job in the ward. Form a book by punching holes along edge and hook pages together with rings or yarn. You can also omit punched holes and fasten edges with staples. Put this book into your church bag for a quiet sacrament meeting activity next week.